They’ll be the No. 1 seed in the NL and open their division series Thursday at Wrigley Field against the wild-card winner. The teams will play a Game 163 for the division title Monday at Wrigley Field. The winner will be the No. 1 seed in the NL and advance to a division series beginning Thursday at its home park; the loser will play in the wild-card game Tuesday at its home park. 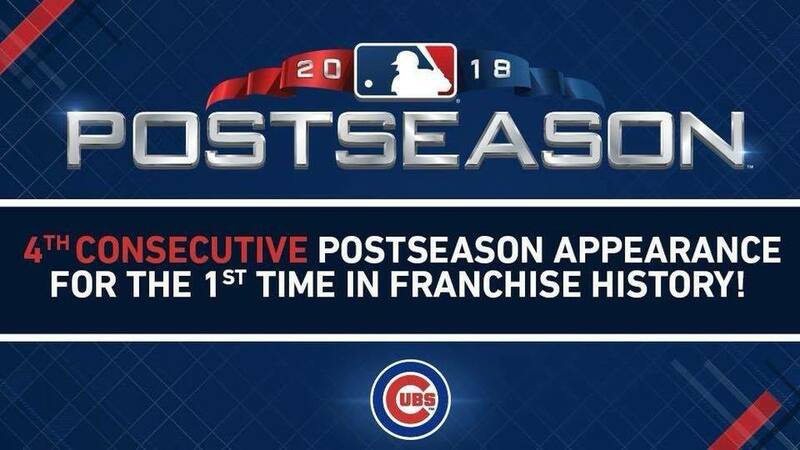 The Cubs will play in the wild-card game Tuesday at Wrigley Field against the Rockies, Dodgers or Cardinals. Even if the Cubs lose their final three games, they would be the No. 1 wild card. If they win the wild-card game, they will face the Brewers — the No. 1 NL seed in this scenario — on Thursday in Milwaukee in the division series opener.